at Waterport and Rochester stores. Note: Boats are not included in this search. Canoe Inventory and Kayak Inventory pages. ...to "The Biggest-Best Selection" in the U.S. or Canada. Located between Rochester and Niagara Falls, NY via Route 104 in Waterport, NY. (Home Office and Warehouse) We also have a great store in Rochester on Irondequoit Bay! Huge indoor showrooms - open year 'round. You owe it to yourself; get the most for your dollar, the best boat for your needs and continuing service and advice long after the sale. Don't settle for just anything hanging from a box store or a seasonal outlet's ceiling. The box store can only compete by price. They can't match our selection and service. Obviously, located amidst a "Sea" of asphalt, the box stores don't have "try before you buy." A selection from them could be a three to four-hundred dollar mistake! - Not a Bargain! We stand behind everything we sell and offer honest, experienced advice. No "asphalt" operation here. We demo six days a week on our own water. We have a good selection of used canoes and kayaks too. We take the time to present and explain the right selection. Narrowing the choices to a couple, we then demo. The choice is much clearer to you at this time. Plan on spending a couple of hours with us - bring a lunch, the kids, the (friendly) family pet, and have a great day at our park-like facilities. See Hundreds of new and used canoes, kayaks and SUPs in stock every day. 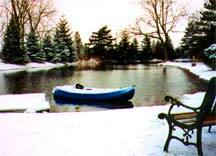 We offer lessons, rentals and even canoe/kayak repairs for our loyal customers. We sell, recommend and install Yakima racks for any car or truck, even those without raingutters! We manufacture many of our own brand of racks and accessories. Wherever You Are! We have Hundreds of Canoes & Kayaks & Paddle Boards in stock. So we can have one that's just perfect for YOU! Over 20,000 sq. ft.
Our website is also our online store. 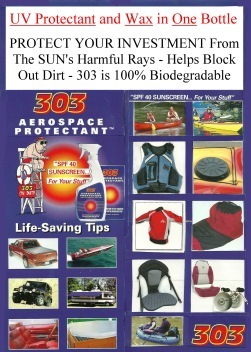 Buy canoe paddles, kayak paddles, whitewater kayak paddles, PFD's, accessories, rack accessories, boat carts, Tilley hats, sprayskirts, cockpit covers, Gift Certificates, care & repair items, safety equipment, kayak fishing accessories, canoe/kayak storage, dry bags, kayaking helmets, outfitting and comfort, sit-on-top kayak accessories, videos/DVD's, canoe seats, Danuu Canoe/Kayak Covers, canoe motor brackets,	cloud10gear and cool stuff. Special package promo pricing on boats with gear. Pick Up Truck Racks, J-Cradles, Mini Roller, SUV Roller, Gullwing Kayak Saddles, our Oak Orchard Line of Canoes and Kayak-Canoe Storage (wall and free standing). • See our on-line inventory for the BEST Kayak, Canoe or Paddle Board in YOUR price range. Hundreds of Canoes, Kayaks AND Paddle Boards in stock and on Sale. Announcing new, lower PROMO pricing on select Canoes, Kayaks and Paddle Boards. 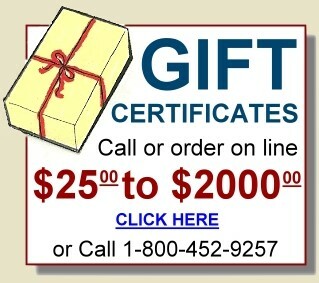 Our goal is to pass on extra savings to our best customers where possible. PROMO price when buying the boat plus a qualifying accessory purchase. of Canoes & Kayaks & Paddle Boards, we have Hundreds in stock. If they don't have what Oak Orchard has, then by all means - Call Us! Thank You! Great Stability and durability; AND at a CRAZY low price. Good chance to pick up a good boat with a few scratches and wear spots. sup: HOBIE, BIC, PAU HANA, C4, BOUNCE and PELICAN !! canoes: OLD TOWN, MAD RIVER, WENONAH, BELL, SPORTSPAL, GRUMMAN and more!! kayaks: OLD TOWN, CURRENT DESIGNS, WILDERNESS SYSTEMS, OCEAN KAYAK, NATIVE WATERCRAFT, NECKY, HOBIE and more!! 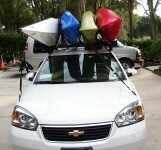 see our kayak inventory OR canoe inventory for details. Oak Orchard's Multi-Purpose STAINLESS STEEL J-CRADLES - ON SALE! When should I carry my Kayaks on their Sides? When should I carry my Kayaks right-side-up? Can I carry my kayak up-side-down? Answer: 1. To carry more than one kayak on short, factory installed cross bars. 6. New patented 2 piece "upside-down" tie down straps. Tie down in 30 seconds - No Step Stool Required! Don't miss out on a bargain!!! upcoming canoe & kayak events. Our customers' choices have made these boats... "Our Best Sellers" ! Resident or Visiting Central Florida? Check with our Florida Rep for some good advice. 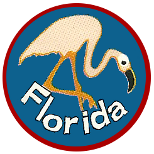 Florida Rep, Lessons and Rentals are available November thru April only. LESSONS: Basic Learn to Kayak 1 ½ hr. $50 per person, (2nd person, $45.) Days and hours can be to accomodate, 7 days a week, either on our own huge sandy beach on our private lake - or on Large Lake Minneola. 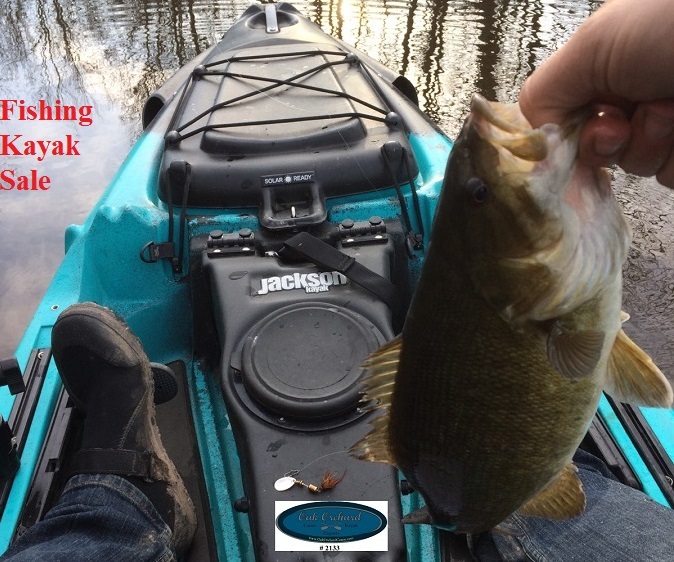 Deluxe Kayak Lesson 1 ½ hr. $60 per person, (2nd person, $50.) Same basic info but paddle different models, sit in, sit on, one man or tandem models. (A best value if you are boat shopping for a new kayak, but don't know which one to buy.) The box stores can't do this! We supply boats, paddles, pfd and friendly, knowledgeable service. Reservations Required. KAYAK CLERMONT'S SECRET WILDERNESS - Crooked Creek Preserve! Lots to see and feel in the warm waters of Lake County and surrounding areas. "No business transactions be conducted from this location. All transactions shall be run through our website shipped from our Waterport, NY location." What products can I see at Oak Orchard ? We've assembled the best gear from the best brands for your 'one stop shopping' convenience. Wenonah, Old Town, NovaCraft, Mad River, Sportspal, Radisson, Oak Orchard, Grumman, American Traders, MichiCraft, Pelican. Hobie, Current Designs, Dagger, Eddyline, Elie Kayaks, Hurricane Kayaks, Jackson Kayak, Liquid Logic, Native Watercraft, Necky, NuCanoe, Ocean Kayak, Old Town, Stellar, Perception, Pelican, Wave Sport, Wilderness Systems. Eddyline, Oak Orchard, Bending Branches, Harmony, Carlisle, Lendal, Wenonah, AT, Grey Owl, Old Town, Aquabound, Werner, Gillespie, Accent, Cannon. "kayak paddles for recreation, touring or fishing"
or "kayak paddles for whitewater"
Extrasport, Kokatat, MTI, Stohlquist, Astral Buoyancy, Hobie. MTI, Kokatat, Hobie, Rapidstyle, Stohlquist, Deep See, Warmers, Level Six. Yakima, Thule, Oak Orchard, Malone, Seattle Sports. We have everything you'll need in stock to safely and easily transport your canoe, kayak, bikes, skis, and other stuff on your vehicle. and "Rack Accessories" for more details. Cradles Double as Car Top Carrier to Wall Storage in 2 min. A must for one person loading. Fits into rooftop 5th door crack. Also, Velcro and Magnet bottoms. 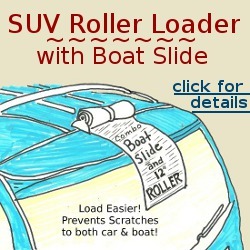 Perfect for storing your kayak indoors or out on any wall or post. 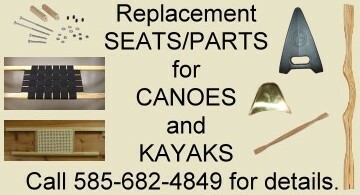 See replacement canoe seats, yokes & thwarts here. Coming for the weekend and need a place to stay? Looking for other places to visit while here? Oak Orchard Canoe Kayak Experts.